Edited by Matthew Bright, Clockwork Cairo is Twopenny Press's inaugural anthology. An anthology of Egyptian-themed steampunk stories, it will take you an adventure from the steam-powered souks of Cairo, to the clockwork bazaars of Alexandria and the shadowy mysteries of the pyramids. "This immersive collection captures the whimsy and drama of steampunk." 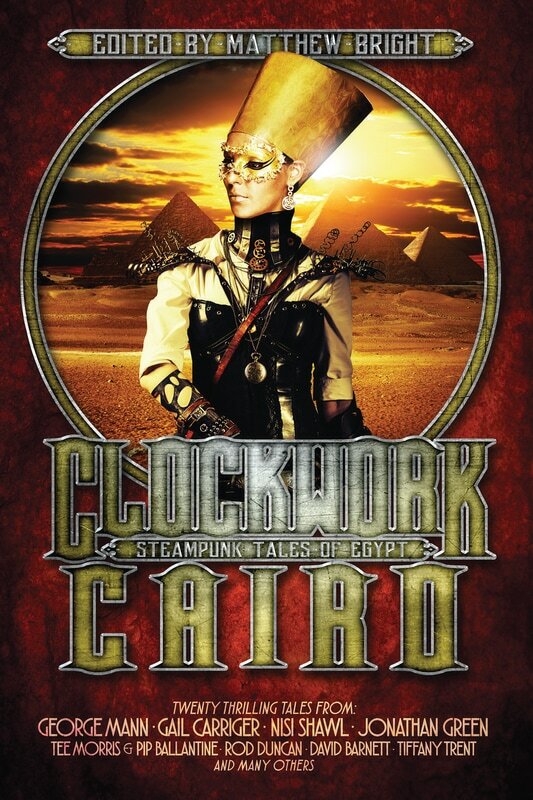 "Clockwork Cairo is a fun collection of clever adventures, delicately mixing the mysterious and exotic worlds of Egyptian legend and the raw ingenuity of steampunk. Editor Matthew Bright proves once again that that the genre can truly go anywhere any any time."